Mahindra and Mahindra brought in their acquired Ssangyong brand’s Rexton in India with Ssangyong badging and managed to make the SUV quite the brisk seller in India given that it competed with the Toyota Fortuner. 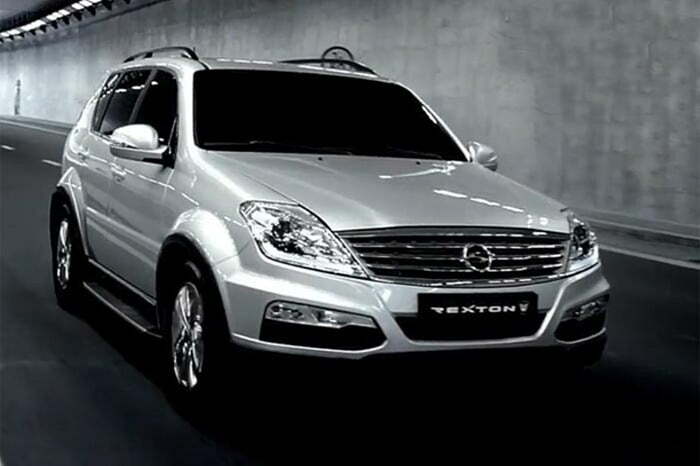 The demand for their Rexton is increasing each day and this has prompted them to increase the production of the SUV. Mahindra has announced that they will be ramping up the production of the SUV to meet the rising demands. Mahindra intends on cutting down the waiting period that the car has which is 4-8 weeks and Mahindra will increase the production by 500 units a month starting January to cope up the demand. The Rexton SUV has managed to bag 1300 bookings after its launch which is quite a credible number given that people are pretty much unaware about the brand Ssangyong. Mahindra had announced at the car’s lunch that they’ll be targeting a production of 5,000 units an annum and with the increasing demands, they already have had to ramp up the production. Mahindra when announcing the increase in production of the Rexton also announced that they’ll be increasing the production of their Compact SUV Quanto which has been a runaway success given that its top model is priced lower than its arch rival, the Renault Duster. Mahindra has also been increasing the production of their XUV 500 which has managed to set the sales charts on fire by being the best selling car in the Rs.15 lakh segment. Mahindra has announced that they’ll be bringing in their Verito CS and the Reva in the first quarter of 2013 which will supplement the 33 percent increase in sales they’ve witnessed over the previous year. They have it all covered in the SUV segment and now look to catch hold of the compact sedan as well as the Electric car segment. Mahindra has taken the automotive market by storm and with their upcoming products, we just expect to hear the announcements of production of their cars being ramped up.